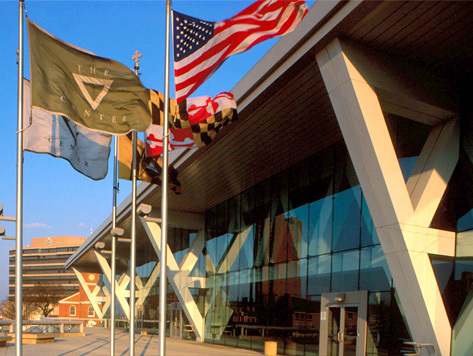 The Baltimore Convention Center is a convention and exhibition hall located in downtown Baltimore. The facility features an exhibition hall floor, meeting space, and ballroom, and is connected through an enclosed sky-walk bridge to the Hilton Baltimore. The Convention Center is located near many popular downtown attractions, and just minutes from Oriole Park at Camden Yards, M&T Bank Stadium, and Power Plant Live.